Precinct 3 Constable-Elect, Sherman Eagleton sends his heartfelt thanks to each and every voter that took the time to cast a ballot in the 2016 election. Sherman thanks his family, the Team Eagleton volunteers, the community, and especially the officers and staff of Precinct 3 that all came together to help make this possible. 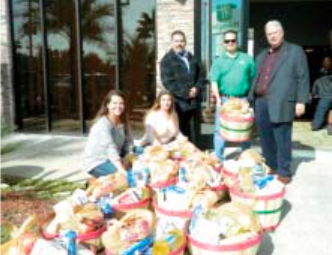 While we know there is a lot of work to do before taking office, January 1, Constable-Elect Eagleton is looking forward to working with the community and the officers to create the vision he’s shared with so many. 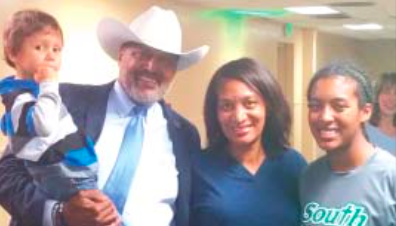 HARRIS COUNTY– Election results for this county are a stunning reminder of the power of the public and that the will of the people is beyond the predictability of pollsters. Locally, the largest percentage lead of all went to Republican Brian Babin in the U.S. House of Representatives District 36 for 87% over H.J. Ridley Jr. 10%. Hillary Clinton took 54.01% of Harris County votes over Donald Trump 41.97%. Libertarian Gary Johnson had 3.01% and Jill Stein with assistance of Ajamu Baraka in the Green Party mustered 0.89%. But national returns are another matter. Hillary Clinton conceded with seven states too close to call and Donald Trump modestly accepted. With 4 seconds left in game, AT makes field goal NS 27 – AT 27 Overtime. AT scores on running play to end game winning NS 27 – AT 33. DUE TO THE PREDICTION OF SEVERE WEATHER ON SATURDAY AND SUNDAY, DEC. 3 AND DEC. 4, THE JACINTO CITY CHRISTMAS PARADE HAS BEEN POSTPONED ONE WEEK, AND WILL BE HELD SATURDAY, DEC. 10. HOUSTON – The City of Houston Office of Emergency Management (OEM) is monitoring the potential for severe weather this weekend. National Weather Service (NWS) forecasts indicate that the Houston area could receive from 6-8 inches over the next few days, with some areas receiving more. Additionally, there is a slight possibility for severe storms and tornadoes, especially in the southern portions of the Houston area. 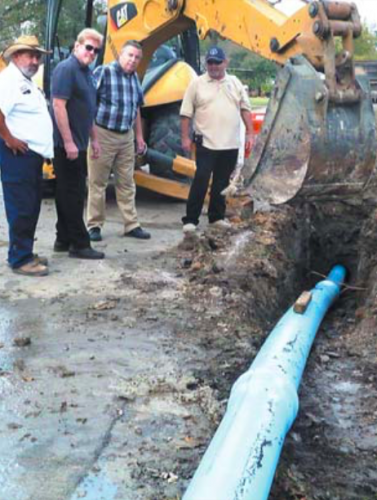 The City is monitoring weather with the National Weather Service (NWS) and Harris County Flood Control District (HCFCD) and is coordinating with various agencies within the City and across the region to ensure they have what they need in the event they need to respond to emergency conditions. 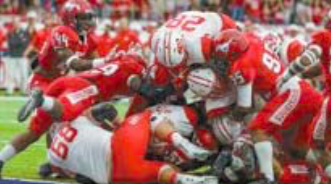 The Mustang defense was the key to victory in the game against Katy. The goal line stand stopped them on the 1 yard line. 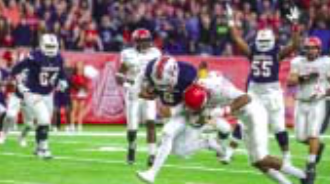 HOUSTON – In a battle between two Championship teams, the North Shore Mustangs came out on top, and will advance to the semi-final regional play-offs this Friday in the NRG Stadium. The final five minutes of the game were exciting, and determined the win. North Shore’s Kerrion Hadnot ran 48 yards for a touchdown, thwarting Katy’s defenders. With five minutes left, the score was then 20-17, but Katy wasn’t through trying. On the next round, Katy QB Rocky Emery hit JC Angulo with a 43 yard pass, bring them to the Mustang 2 yard line, and what looked like a game winning TD. But four plays later, on a 4th and goal on the 1 yard line, Katy coach Gary Joseph decided to try for a winning TD instead of a tie with a field goal. The Mustang defense was up to the challenge. Jacoby Allen stopped Katy’s Josh Oglesby with a 1 yard loss, and a turnover. The North Shore Mustangs have defeated Dickinson 17-7 and Katy 20-17 in the regional play-offs. 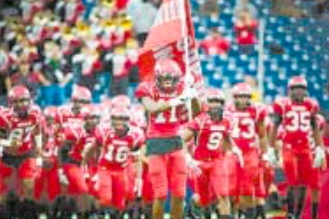 Katy’s five year championship run ended with a 10-3 record, while the North Shore Mustangs, now 12-1, go on to the regional semi-finals Friday against Atascocita (11-1). A large contingent of fans is expected at the NRG stadium to cheer the Mustangs on toward the state playoffs. HOUSTON, Nov. 21, 2016 – Frost has opened its newest branch, the North Shore Financial Center, to serve customers in the rapidly growing neighborhood. Grand Opening events will follow in February, but the new center is already open for business and serving customers at 13630 East Freeway, Suite 300 in Houston. 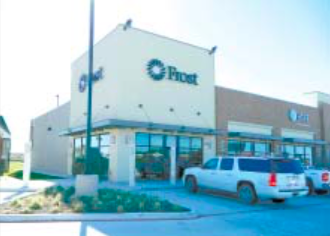 A 148-year old bank with deep Texas roots, Frost currently operates 134 financial centers across Texas, including 31 in the Houston region. The new financial center offers the latest in Frost’s innovative Financial Center design, offering both a welcoming and interactive customer experience, and provides a full range of financial services for consumer and business customers. The new design includes a Frost Room complete with an online banking center where customers can access their accounts through the Internet, and a Community Room, where local groups can gather. The North Shore Financial Center is also home to one of Frost’s newer design features, a welcoming greeter station, where bankers can assist customers with making a deposit and withdrawal, answer account questions, open an account or apply for a loan.